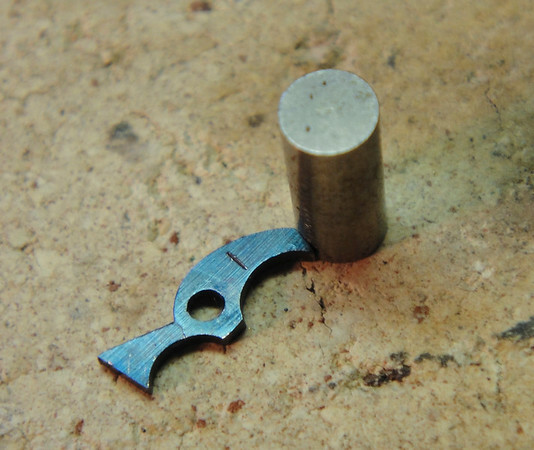 A small magnet comes in very handy when repairing broken clock hands, pallets broken off of anchors and the like because it allows one to keep very small parts in exactly the right orientation for their repair. Figure 11 shows the click after a small amount of flux has been applied to the crack and the small piece of Silvabrite solder placed right over the break. Note that the acid in the flux dissolved the blue oxide layer around the crack.